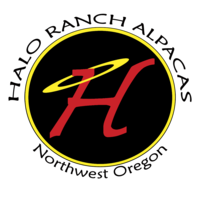 Ask for Price Future Herdsire! 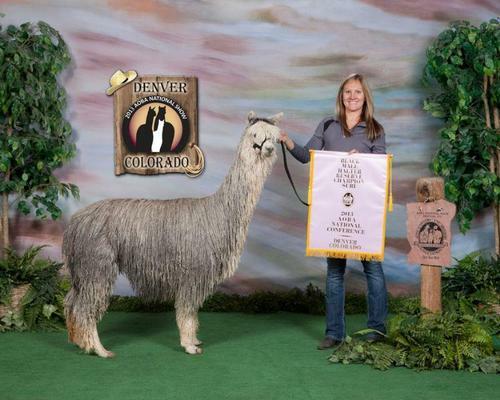 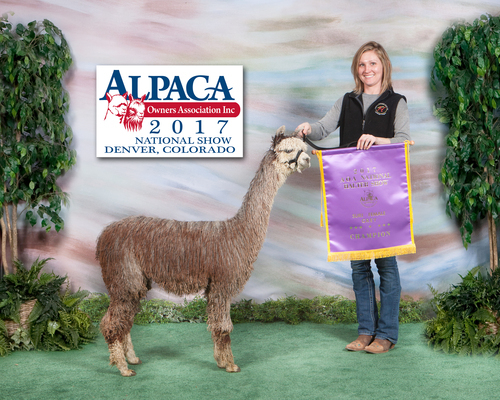 It's hard to beat his genetics as he comes from bloodlines of some of the top alpaca producers in the US. 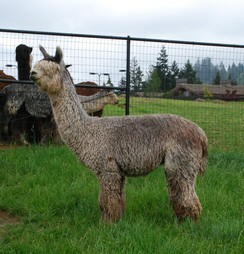 His sire, Silver Granite, has won 12 Color Championships and is quickly becoming one of the top grey herdsires in the US. 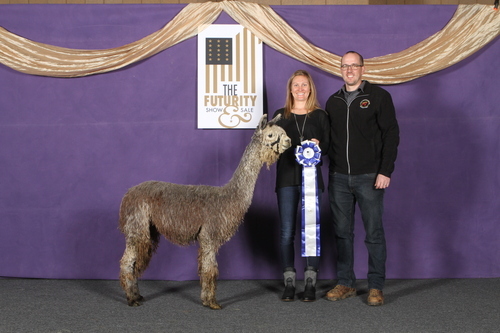 Roy's full sister Sandra was the 2017 Grey National Champion as a Juvi! 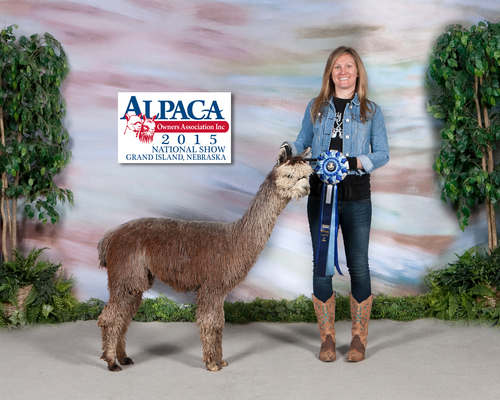 She also received Reserve Champion at the Futurity and GWAS!